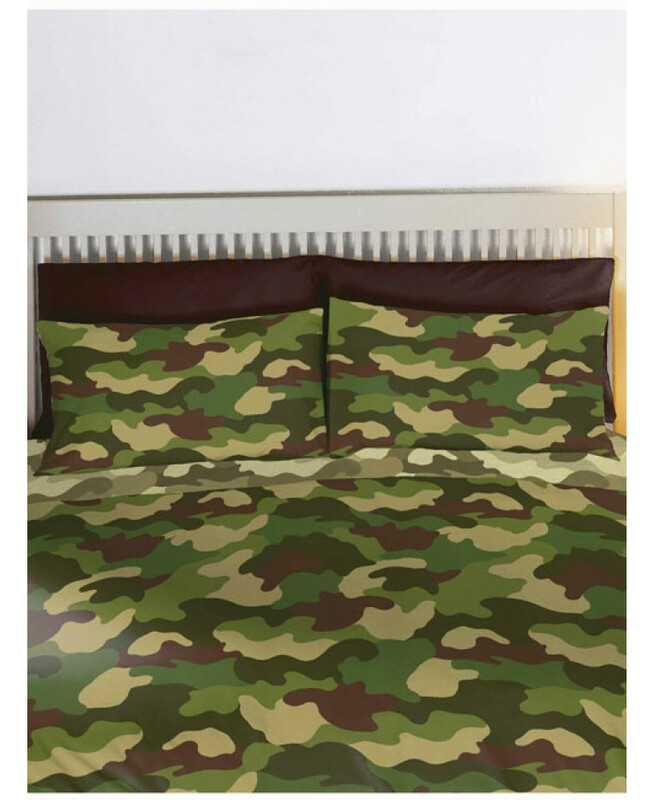 When it is time for lights out at the army base, this Army Camouflage double duvet cover is the only bedding set budding army cadets will want to sleep in! 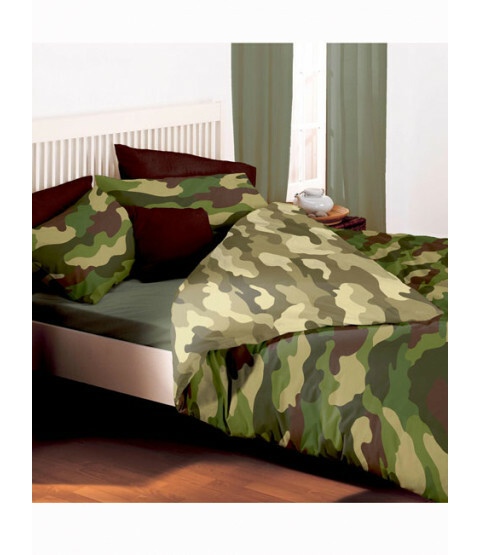 The reversible design has two camouflage themes, both in various tones of classic khaki green. Matching curtains can also be purchased from our website. This item is suitable for machine washing and tumble drying.